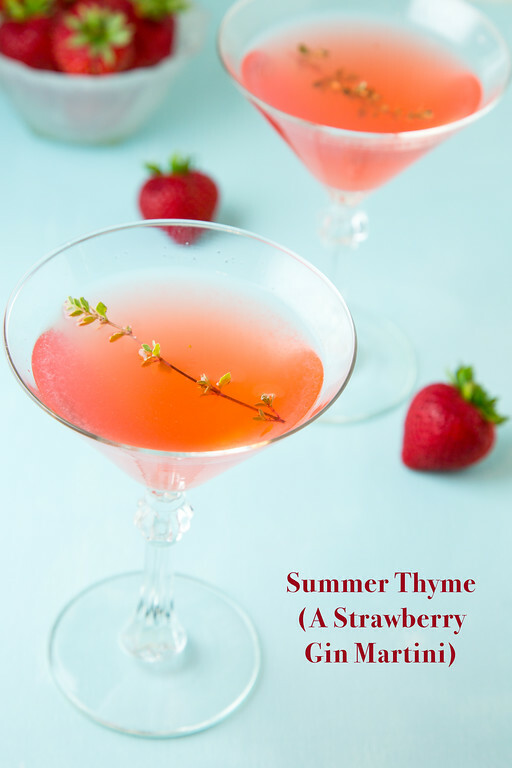 Summer Thyme is a strawberry gin martini that is perfect for sipping on these hot summer days! Click here to pin this Summer Thyme Strawberry Gin Martini now! Summertime and the sippin is easy. Wait. That’s not how it goes? Well, that’s how it should go. 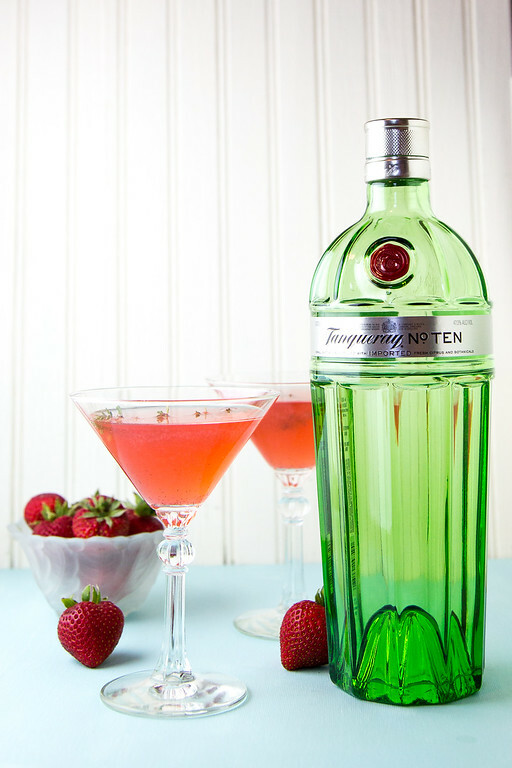 Especially if you are sipping Summer Thyme a strawberry gin martini that is the essence of summer. This cocktail starts out with a little backstory. I’ve always said that I’m easy to market to and this cocktail is a prime example. A few weeks ago, Lines Orchids a darling shop in Warehouse Row posted a photo of Zen and Tonic on their Instagram feed. The only thing I like better than a good cocktail is a good pun and the title Zen and Tonic is genius. When I got to the store and opened it up and saw infusions, well there was just no stopping me. About the only thing I love more than a good cocktail or a good pun is a good infusion. As you can tell, I love a lot of things. I bet you love a lot of things, and one of them is going to be this cocktail! Being a gin girl (and I’m going to say “gin girl” because “gin old lady” just doesn’t flow off the tongue so easily, my husband is always surprising me with special gins. Since this cocktail is basically gin, strawberries, thyme and a bit of lemon, you want some good gin. This Tanqueray No. Ten fit the bill perfectly. While they have organics on sale, I have been picking up tubs of strawberries every week at the grocery store. Some I freeze for smoothies, some we just eat, and now some we drink. This cocktail is so crazy easy and so good! It was light with lots of strawberry flavor. It’s pretty too! I’ve already made some boozy popsicles that I’ll be posting on Sidewalk Shoes on Wednesday and then I’ll be posting a review of the book. If you’re looking for some more strawberry cocktails: Strawberry Mint Mojito and The Best Frozen Strawberry Daiquiri. This strawberry gin martini is perfect for your summer sipping! Place the strawberries, two thyme sprigs and the lemon wedge in the bottom of a cocktail shaker. Muddle thoroughly. Then fill the shaker with ice, add the gin and shake for about 15 seconds. Double strain into a chilled martini glass. Garnish with a thyme sprig. This looks so amazing! I have a strawberry thyme jam on my blog but it never occurred to me to put those lovely flavors into a drink. Definitely going to try this! Looks delicious and colorful drink for the summer, thanks for sharing with Hearth and soul blog hop, pinning and tweeting.